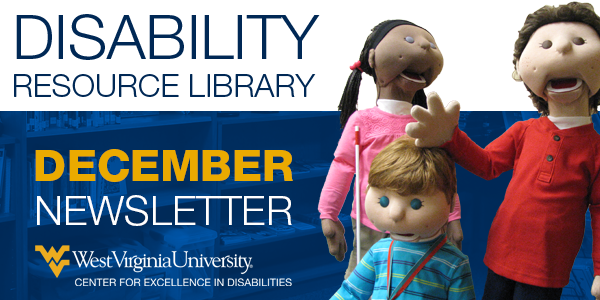 This month's Disability Resource Library newsletter focuses on Traumatic Brain Injury (TBI). In this issue you will be introduced to resource materials specifically developed for individuals with Traumatic Brain Injury (TBI), family members, caregivers, and providers. The Traumatic Brain Injury (TBI) Program at the WVU Center for Excellence in Disabilities is the state's designated lead agency for the coordination of services for West Virginians with TBI. The TBI Program is a collaboration between the state funded Traumatic Brain Injury Services and the federally funded Traumatic Brain Injury Implementation Partnership Grant. TBI is defined as a blow or jolt to the head or a penetrating head injury that disrupts the brain's function.